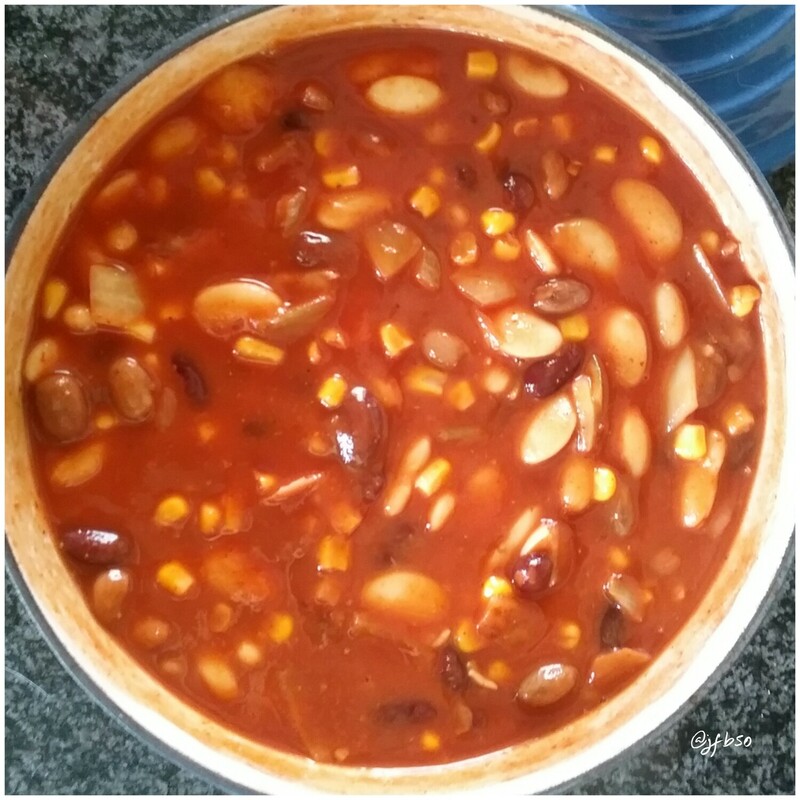 4 bean and sweetcorn chilli | Jo's food bites. A really speedy dish using store cupboard ingredients. If large tins are used…serves 4. Fry the onion until soft. Add the spices and stir thoroughly for 1 minute. Rinse and drain all the pulses. Add pulses, sweetcorn and passata. Cover and leave on a low heat to heat through and allow spices to infuse. What is passata? This sounds good and I’m sure you could add some ground beef or turkey. Thanks. It’s called puréed tomatoes here I bet.